So you’ve saved up some money, found a great trainer to take lessons from, lined up a boarding barn, and even researched vets and farriers. Now that you’ve gotten all your proverbial ducks in a row, you are ready to start horse shopping! There are countless places to find horses for sale. If you are buying your first horse or returning to life as an equestrian after a long absence, you’ll want to know what to look out for. Here are some tips to help you find your perfect match. The very first rule of horse shopping is to never go alone. You may fall victim to a beautiful color and high-pressure sales techniques and end up with a lame, dangerous or otherwise unsuitable horse that is nearly impossible to re-sell. The best person to bring with you is your trainer. She’s seen you ride and has an objective knowledge of your skill level and the type of horse you’ll need to feel safe and confident. Be aware that most trainers charge for this service, often 10 percent of what you pay for the horse (on top of paying the seller for the horse). If your trainer can’t go with you, the second best choice is a friend that is very knowledgeable about horses. Don’t bring a pal who isn’t “horsey”; she can’t find subtle faults in a horse that you might be overlooking. Perhaps you can find an experienced horse owner from the barn where you ride, or someone who has owned several different horses over the span of many years. This type of experienced-based knowledge is exactly what you need in a shopping partner. Make sure your shopping buddy is familiar with the style of riding you want to do. The most tried-and-true avenue for finding a horse is word of mouth. Your trainer might “know someone who knows someone” with the right type of horse for sale, or you might hear about a horse that’s not being advertised while chatting with the owner of the local tack store. Word of mouth can be a good way to find a nice horse that nobody else has snapped up yet because he isn’t advertised. But it also may be hard to find out much information until you actually go out and talk to the owner and see the horse in person. Still, keep an open mind—and bring your knowledgeable friend too! You can usually find horse-for-sale flyers posted at tack shops and shows. Also check for equine classifieds in your local paper or Craigslist and any regional horse publications. The popularity of Facebook also offers you the opportunity to join horse-for-sale groups, where anyone (usually within a certain region) can post an ad. Ask your trainer and friends for some suggestions; also look at other trainers’ Facebook pages, since they will often post listings that are more up to date than what they have on their websites. You can then send a private message to the seller for more information on a horse if you are interested. If you are searching for a particular breed of horse that is not very common, you may need to go straight to the source. You can use the Internet, breed association publications or magazine advertisements to find breeders. It doesn’t hurt to Google them or ask around to check out their reputation for ethical breeding and sales practices. If you find one you like, call or email them to see if they have older horses of riding age, since many will sell off their stock as weanlings or yearlings. 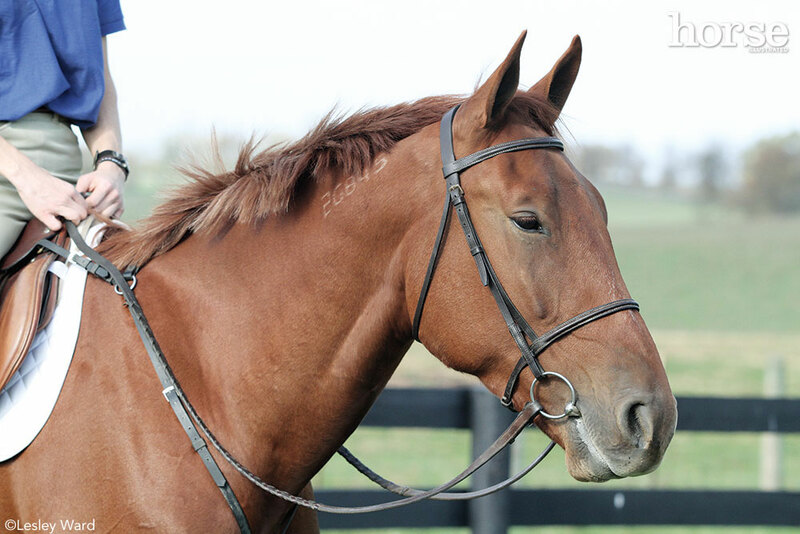 There are often some horses with riding mileage available, so inquire away! If they don’t have any, they probably know of someone who does. Although there are a lot of so-called “unwanted horses” in this country, there are also many equine rescues that give these horses a safe place to go, and they’ll work hard to re-home them to good owners. Some rescues are breed-specific, such as those for off-track Thoroughbreds. Others take in all types of horses. The upside to rescues is a lower price tag (adoption fee), as well as doing your part to re-home a formerly unwanted horse. It’s best to work with a rescue that puts under-saddle training into the horses once they are physically rehabilitated, and that will let you try a horse under saddle. Many rescues are 501(c)(3) charities, although this alone does not guarantee ethical re-homing practices; be vigilant in your research. You can Google the rescues in your area that you plan to visit, and ask around to see if they have a good reputation. Some rescues may require you to sign a contract stating that you will never sell the horse, but rather will return him to the rescue if you are unable to keep him. Others will have a one- or two-year waiting period, after which you can sell as long as you notify the rescue of where the horse is going. Make sure to read rescue contracts thoroughly so that you understand and accept the terms before signing. If you’re an inexperienced horse buyer, it’s best to stay far away from the auction. In most cases, you can’t test ride or vet check these horses before purchase. It’s possible that the horse you like could have a disease or extreme behavior problem that you wouldn’t find out about until you brought him home. This could put you and all of the horses at your barn in danger. It’s all too easy for a skinny, scruffy-looking horse to tug at your heartstrings when he’s led through the ring for a ridiculously low price—all the more so if there is a meat buyer on hand to snap up any low-priced horses that don’t get purchased by someone else. It’s best to leave auction buying to trainers and those with the time, acreage and experience needed to rehabilitate and/or re-sell these horses. Always schedule an appointment to see a horse for sale. Show up on time out of respect for what is surely a very busy day for the owner or trainer who is showing you the horse. Call if you encounter traffic or have to cancel for any reason. Even though it takes more time, ask beforehand if you can see the horse being caught, groomed and saddled during your appointment. Ground manners are extremely important, and some problem behaviors might be beyond your current scope of knowledge to correct (such as a horse that is nearly impossible to catch, or one that dangerously bites and kicks during grooming). Always ask the person showing you the horse to ride him first. This is the universally expected way to be shown a horse. If the person can’t (or doesn’t) ride, come back another day when they have lined up a rider to show you the horse. Never, ever get on an unfamiliar horse without watching someone else ride him first. Come prepared with your helmet and riding boots. Ask the owner if you should carry a crop or wear spurs for your test ride. During a trial ride, it makes sense to try out the horse in the manner in which you intend to use him. A little walk/trot/canter in an arena isn’t a good gauge of a horse’s specialized skills; for example, jumping or running barrels. If you’re looking for a trail horse, ask if you can take him out of the ring to see if his disposition changes drastically. Ride away from the barn to make sure he isn’t barn sour. If at any point it becomes readily apparent that the horse is not a suitable match for you, politely thank the seller for their time and let them know. It’s always best not to continue to take up someone’s day once you’ve made up your mind that you’re not interested in the horse. If you really can’t get a feel for the horse’s ability to fit into your regular routine without bringing him home, ask if the seller would be open to you taking him on trial. A trial often lasts for a week and will allow you to observe the horse in the environment where you will be riding and keeping him. Keep in mind that if the seller agrees to a trial, there is the possibility of the horse getting injured during this period. Hammer out a concrete agreement in writing about how to handle any accident or vet call and who is responsible for the fees incurred. The buyer or seller can pay to have the horse insured (by a reputable equine insurance agency) during the trial to protect the seller in case of permanent physical injury to the horse during this period. It’s best not to waste a seller’s time by going to look at a horse that’s drastically out of your price range—the exception being if you’ve informed them of your maximum budget beforehand and they are still open to showing you the horse despite the gap. If the horse is within your budget but you feel he is a bit overpriced, it never hurts to ask if there is wiggle room. Generally, lowball offers after trying a horse are not viewed kindly. If you would buy the horse for slightly less than his advertised price, make the seller an offer after you’ve tried him out. 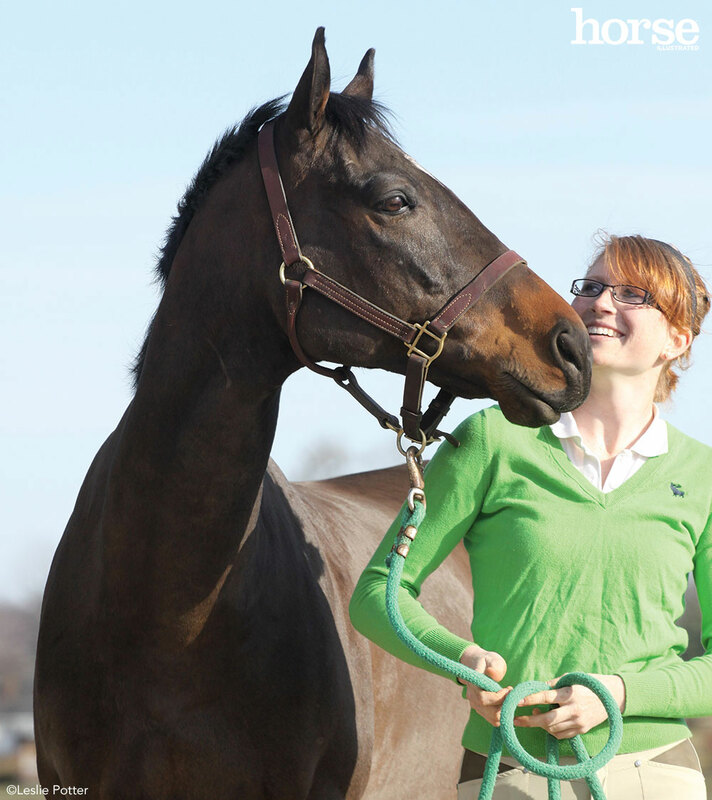 Once a price is agreed upon, you can proceed to scheduling a pre-purchase exam with an equine vet. This is the other most important rule of horse shopping (besides bringing someone knowledgeable with you). If this turns up significant physical issues, you can decline to purchase the horse or offer a lower price, but you have to understand the limitations any health problems found will put on the horse’s performance career. Even if the horse is free or inexpensive, you should still spend the money to have him vetted. The money spent here can save you thousands down the road if there is a pre-existing condition that is not apparent to you. Vettings range from a basic exam to extremely thorough, with multiple joint X-rays, airway scoping, et cetera. At the very minimum, the vet will take the horse’s temperature, listen to his heart and lungs with a stethoscope, and perform joint flexions. If the joint flexions turn up significant lameness, you can at that point decide to do X-rays for more information, or call off the purchase if you don’t want to spend the money on X-rays (which can easily double or triple the cost of the vetting). There are always more horses out there to look at. Although vets don’t “pass or fail” a horse after vetting, they can explain the odds of the horse holding up to your intended use if a particular physical problem is found. It’s also a smart idea to have the vet draw blood to store for a period of time. If the horse starts suddenly acting differently (in a bad way) after you buy him, the blood can be tested for tranquilizers and other drugs. If the purchase was made under the fraudulent use of drugs, the seller may be legally required to refund your money and take the horse back. Laws vary from state to state. It’s more common than you may think to go through multiple vettings with negative findings that drain your horse shopping budget and enthusiasm. Some people report trying out dozens of horses over the span of many months without finding their perfect mount. It’s better to hold off on making a purchase than to get sucked into buying a horse of questionable soundness or training just because you “need” something to ride right now; there are always other options. If you run into this situation, consider finding a horse to lease. In a full lease, you can take care of the horse as if he is your own, handling all of his day-to-day riding and care. In a partial lease, you are assigned a few days a week (usually split with the owner or another part-leaser). You can also network with your trainer and equestrian friends to look for a horse that needs some exercise; usually the owner is too busy to ride, at least temporarily. 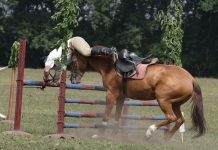 This can offer you a great way to keep your riding skills sharp and build your horse budget without paying for a lease. Holly Caccamise is the managing editor of Horse Illustrated and has both bought and sold several horses throughout the years. This article originally appeared in the 2014 issue of Your New Horse. Rescues are great places, and also auctions, if you know what to look for. Most of these sale horses will be slaughter bound because they are unwanted. Are You Ready for a More Challenging Horse?